"Everything is possible, some things just take more time than others." Every time I saved up enough money to buy an upright bass, something stupid would happen to soak up my savings. The washer or dryer would break. I needed a new refrigerator. The tires on my car needed to be replaced. The lawn mower died. The snow blower was stolen. Then one day in Feb 2008, my bathroom caught on fire due to a space heater. Winters are cold in Detroit! Of course my home owners insurance paid for almost everything replaced in the bathroom, except for the new "upgrades" in lighting and cabinets. So out of frustration, i took a large cabinet shipping box, and a piece of red oak flooring, and made a cardboard box upright bass. I used weed whacker twine for the strings and broke open an electric buzzer to get the piezo element out as a pickup. My cardboard box bass played great and sounded surprisingly pretty good. So I posted a video on youtube and the tv show "Good Morning America" showed just 10 seconds of the video on tv. I began to get thousands of requests to buy my box bass. Coincidentally, I have cousins that are an acoustical engineer and electronic engineer, and an uncle that owns a sign printing shop. 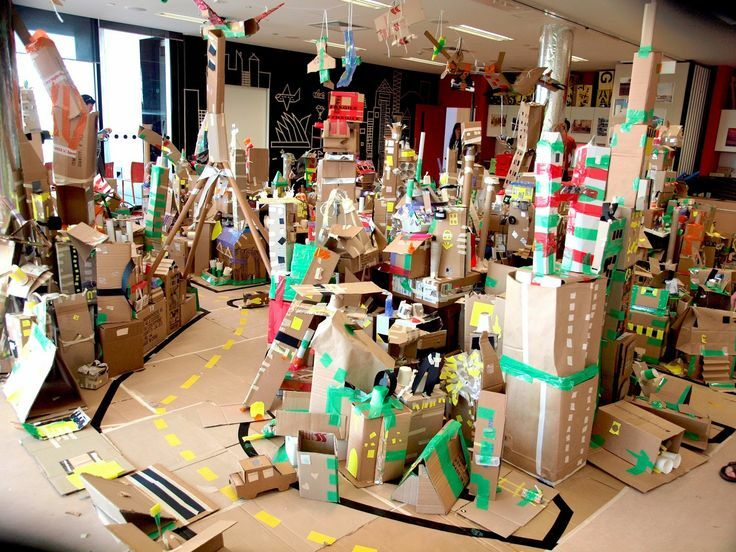 They fully immersed themselves into this crazy idea of manufacturing and selling a cardboard box upright bass do-it-yourself kit. 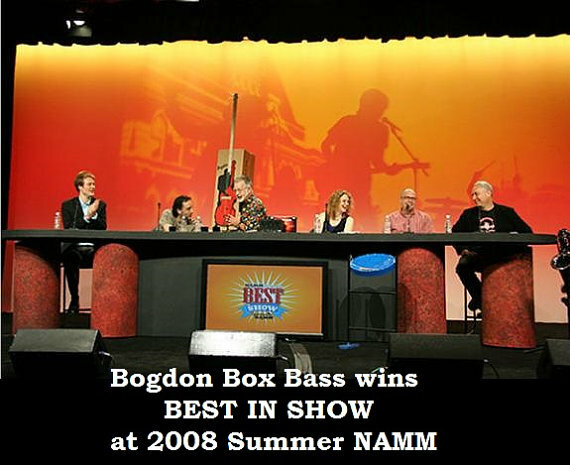 Summer NAMM 2008 awarded the Bogdon Box Bass as 'best in show" in the bass category. Bass Player Magazine Jan 2008 wrote a rave review. The History Channel show called "Invention USA" featured me and my box bass. I was suddenly an American small businessman and am enjoying the absurdity of being labeled a "luthier." I am not a luthier. But i consider myself a craftsman. 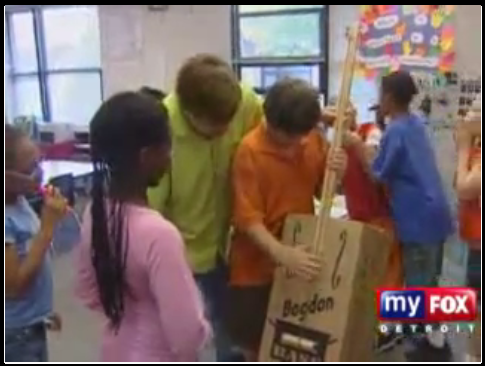 The box bass attracts attention like no other musical instrument. 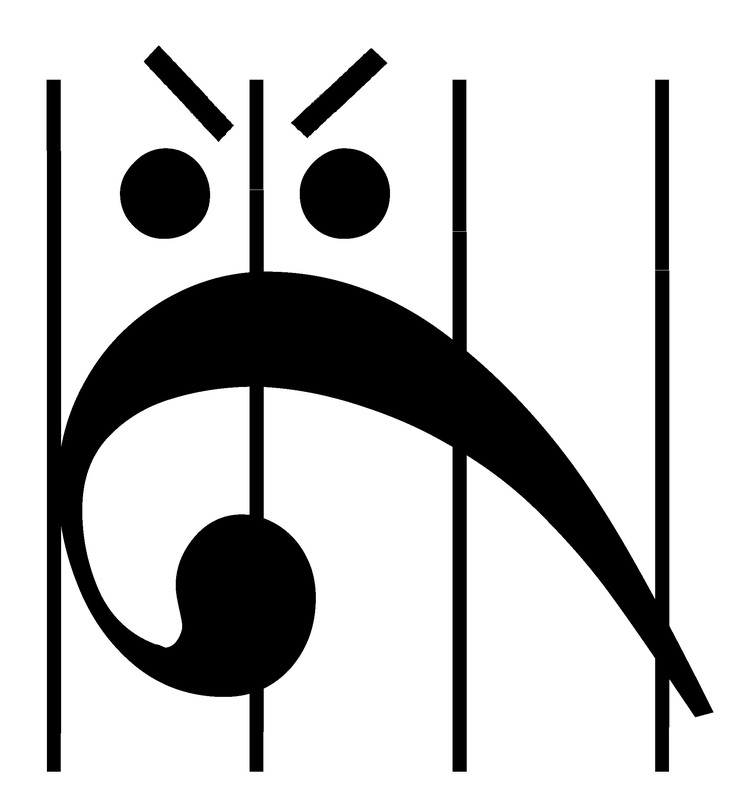 Musicians and non-musicians always want to try it out. Some like it, some hate it and that's what makes it wonderful. No body simply ignores it. Everything is not chrome in the future. But yes, we're all living in the year of 2017. It sounds like the future. But the memory of the 70's linger on through great music and tall tales of glory days.